Honoree Leslie Moonves attends Venice Family Clinic's Silver Circle Gala at Regent Beverly Wilshire Hotel on March 9, 2015 in Beverly Hills, California. The weeks-long standoff between CBS CEO Les Moonves and CBS Vice Chairwoman Shari Redstone could end with a CBS-Viacom merger led by Moonves and his hand-picked team. Or it could end with Moonves on the outs and Viacom CEO Bob Bakish in charge. Maybe it'll end with the two companies staying separate. Right now there's no end in sight at all. Viacom declined to speak about the merger talks when it released first quarter earnings on Wednesday. But the earnings were a statement. Viacom's message is that it is mounting a turnaround despite huge challenges in the cable TV business, which should improve Bakish's negotiating position. But there's lots of debate about how much progress Viacom is really making. And this battle is ultimately about personalities, not economics. Redstone is the controlling shareholder of both companies. Sensing a wave of media consolidation, she wants them to merge -- and she wants Moonves to be the CEO. But they don't see eye to eye about the details. 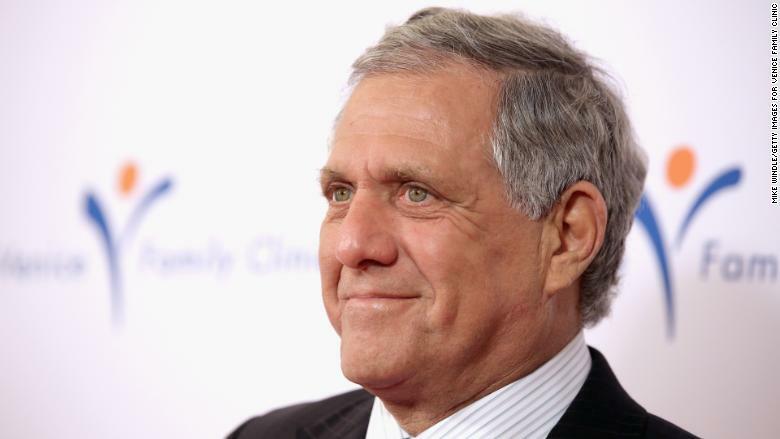 Moonves wants to pick his own team to lead the new company. Redstone wants Viacom CEO Bob Bakish to be a part of it, setting up Bakish as a future CEO. The subtext: Just how involved does Redstone want to be? Moonves wants autonomy. At the moment he seems to be calling her bluff. Both sides have been peculiarly quiet in the past two weeks. But Redstone "has begun to apply pressure" on Moonves, partly by lining up potential new CBS board members, the Wall Street Journal reported Tuesday. As hard as it is to believe, this standoff could end with Moovnes leaving the company he has helped run for over 20 years. Moonves has embodied stability and success. CBS is widely seen as the stronger of the two companies, bolstered in part by its high-rated programming lineup. One Moonves associate described him as "pretty zen" about the possibility of being forced out. This person described his thinking this way: "If this is my coda, I need to have control. I need to do it the right way, the way I think it should be done — otherwise, why do it?" A CBS spokesman declined to comment Wednesday. Team Moonves wants CBS chief operating officer Joe Ianniello to be his No. 2 and hand-picked successor. But Team Redstone wants Bakish in line for the CEO job. "Shari sees Bob as way more controllable than Leslie," a source who knows all three executives said on condition of anonymity. People on Bakish's side say that's unfair. They argue that Bakish is turning around Viacom's fortunes. Viacom's earnings outperformed Wall Street expectations, thanks in part to newfound success at the movie studio Paramount -- it turned a small profit, which is something of a surprise for the troubled studio. A source familiar with Viacom's thinking framed it this way: Bakish knows how to run the company, so it would only make sense to have someone on the merged management team who is familiar with its inner workings. "For all the debate about it, it's sort of like, the proof is in the pudding," the source said. CBS will release its first quarter earnings next week. Bakish and Moonves' lieutenants know little about the state of play. But the battle has consumed both companies in recent weeks. "The Viacom-CBS saga continues to get stranger and more complicated by the day," MoffettNathanson senior analyst Michael Nathanson said Wednesday. Viacom's silence about the matter during the earnings conference call only added to the intrigue. A successful deal would reunite two media companies that have been separated for more than a decade. The Redstone family controls roughly 80% of the voting shares for each business. Negotiations formally kicked off at the beginning of the month with a bid from CBS that valued Viacom at less than its market value. The pro-merger argument is that CBS (CBS) and Viacom (VIA) need to get bigger to compete with tech giants and other rivals -- or they need to get bigger before one of the tech giants will buy them. But some observers express doubts about the wisdom of the combination. "In the event that a deal cannot be reached, it seems to us that Viacom management has given investors a clear vision for how they plan to drive the company forward," Nathanson wrote Wednesday. "And if the price of a deal to CBS is losing Les' leadership, why force the issue?"